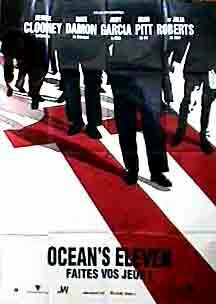 Recently paroled con artist Danny Ocean is a man who keeps his cool in situations unlikely to make any individual comfortable. 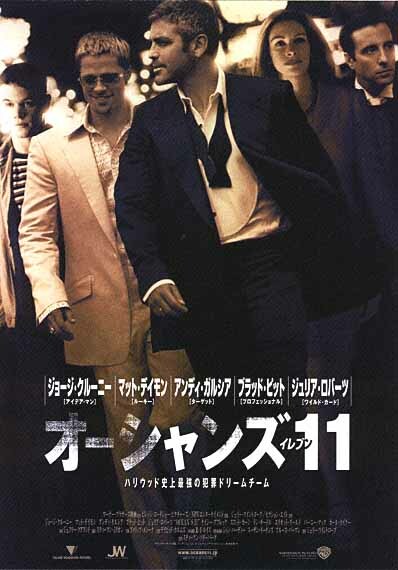 No sooner does he violate his parole that he's traveling around the country gathering people for his next big scheme: to rob three casinos owned by the ever ruthless Terry Benedict. 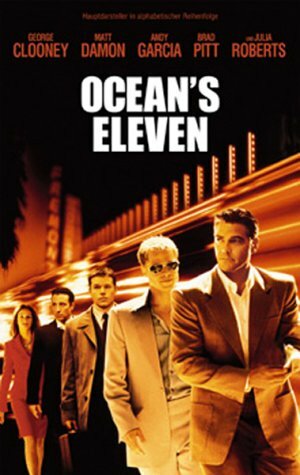 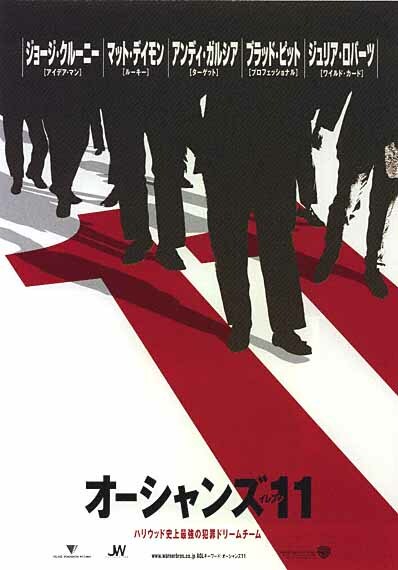 With the aid of a right hand man named Dusty, a thief out of retirement, a pickpocket, a card dealer, a surveillance man, a chinese acrobat, an explosives expert, two frontmen, and a bitter casino mogul, they make up Ocean's eleven, out to make one very big score. 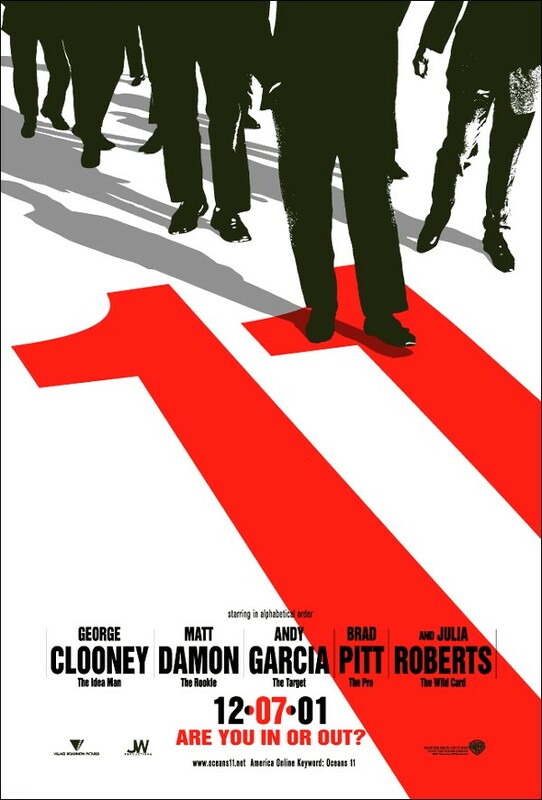 Tasty cast in very cool and slick movie What a tasty prospect for a film: George Clooney, Brad Pitt, Matt Damon, Andy Garcia, Julia Roberts and for the young at heart amongst us, Joshua Jackson of 'Dawson's Creek' fame in a cameo role -all directed by the Oscar winning Steven Soderbergh! 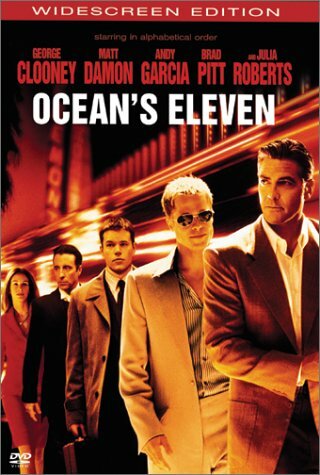 George Clooney plays Danny Ocean who soon after being released from prison, puts together a team of eleven to undertake a robbery of the three biggest casinos in Las Vegas in an attempt to bring in a reward of $150 million. 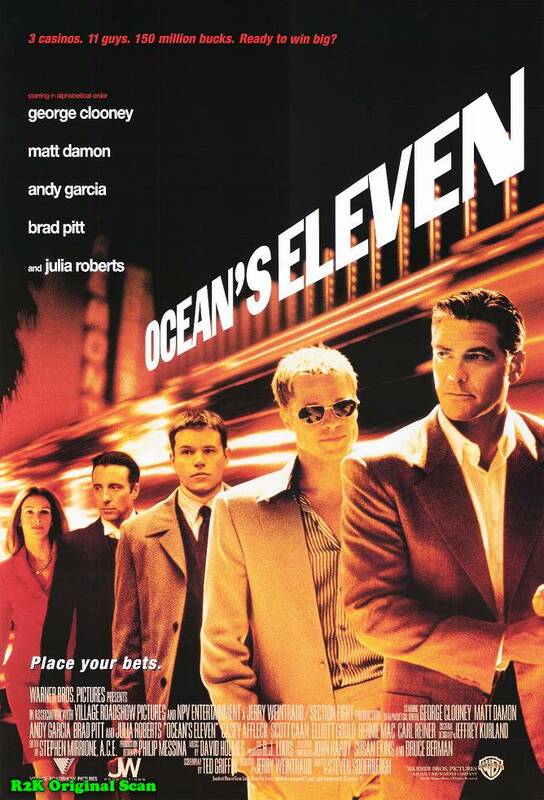 What soon becomes clear is that it's not the money which will give Danny the ultimate satisfaction, but the opportunity to get revenge on the owner of the three casinos he is robbing -Benedict (Andy Garcia) who just happens to be the new beau of Danny's ex, Tess (Julia Roberts). 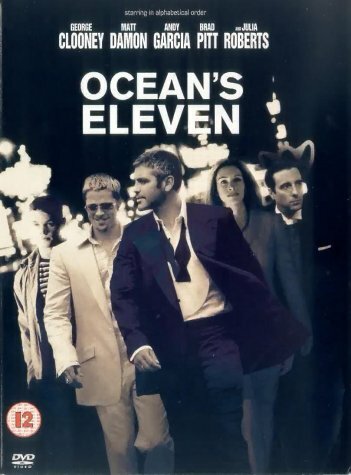 Some of the gang of eleven are more memorable than others -especially the Chinese acrobat, the explosives expert with a dodgy cockney accent and the medallion wearing Reuben -aka Monica Gellar's dad!The cast are brilliant at acting cool -even if all Brad Pitt is doing is snacking on the screen (he does this a lot! 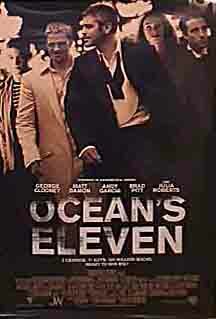 ), you are still transfixed by him because he looks so good on screen. 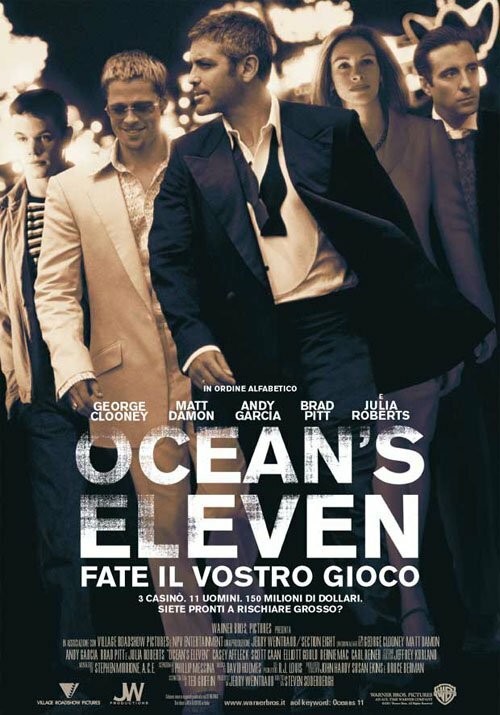 What makes the story so intriguing is the fact that Danny's mission seems so impossible: security in the casinos is paramount and the route to the reward is littered with obstacles.The number of close calls that the gang is faced with is great fun and one can't help but root for these crooks throughout the film.It is also refreshing to watch a film which is dominated by male stars and is not filled with macho swearing.Instead, we have a banter between the stars which is indicative of their camaraderie. 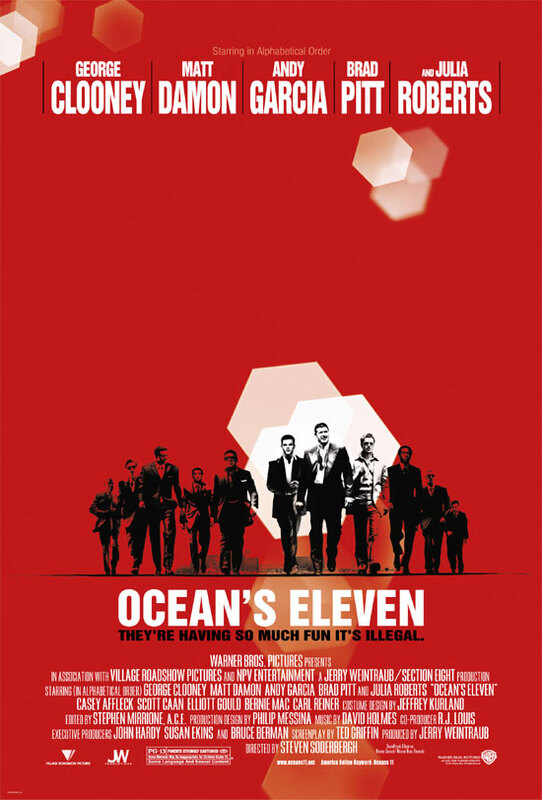 'Ocean's Eleven' is a welcome option in the choice of movies available at the moment which is dominated by Oscar nominees that are not going to be everyone's cup of tea.With this film, it's simply a case of sit back and enjoy the fun!